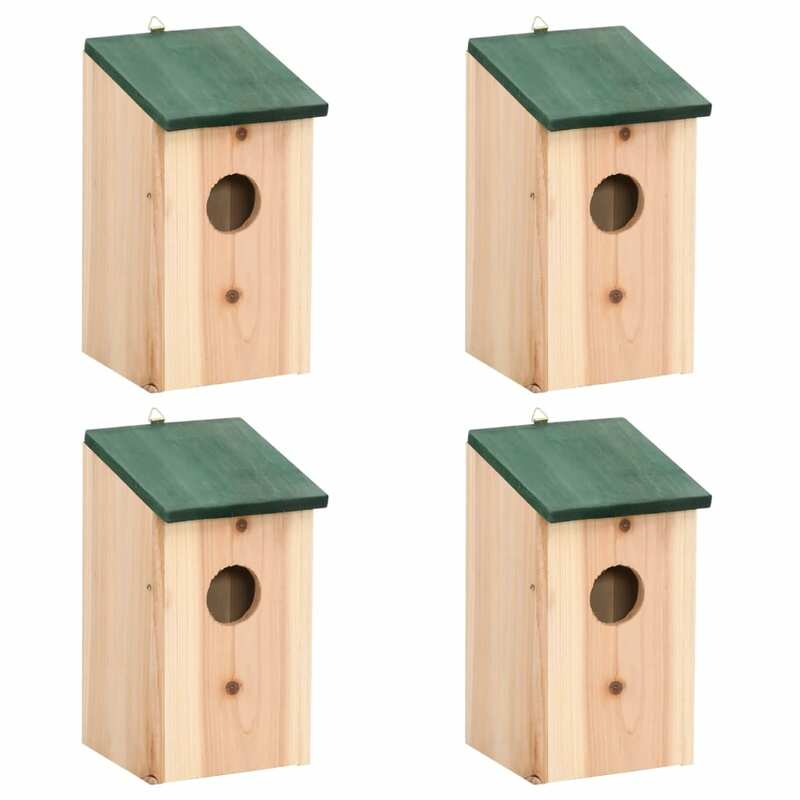 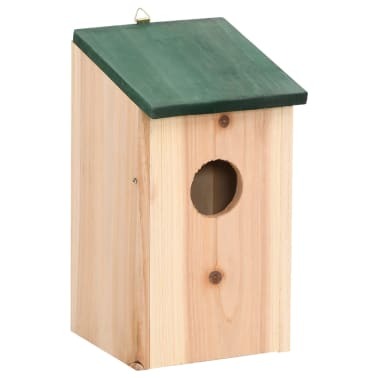 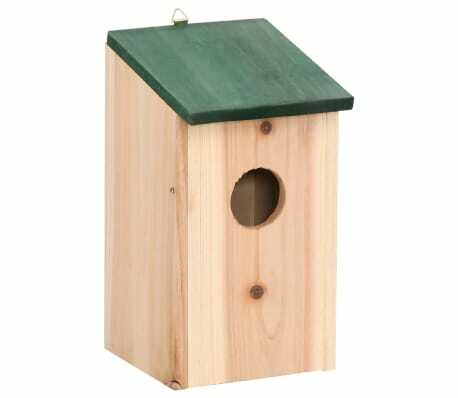 This lovely bird house, constructed of durable pine wood, is designed for a lucky feathered family! 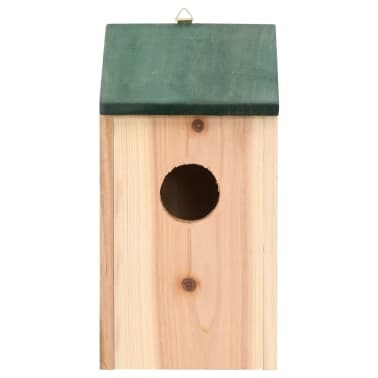 It will brighten up your garden and give shelter to your feathered friends. Coming with a green roof and wood color housing, it will also be a perfect ornament as well as a bird nest. Equipped with a metal hanger at the top, it can be hung in your garden. 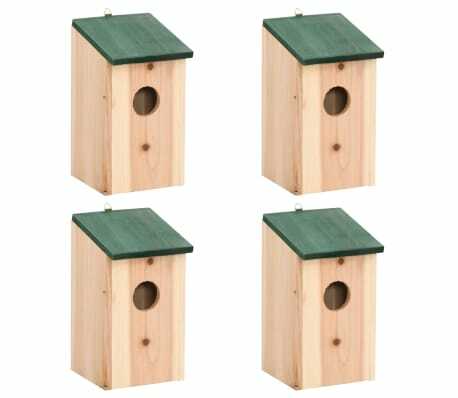 Delivery includes 4 x bird houses.